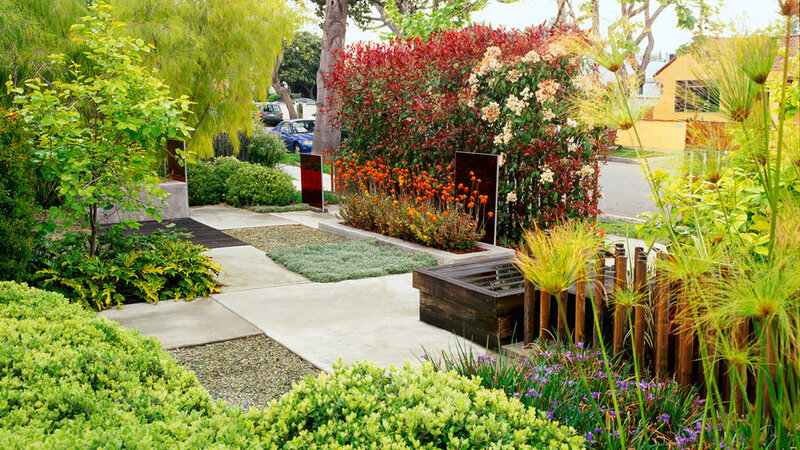 This West Hollywood front yard went from dull to dazzling with this makeover by designer Katherine Spitz (katherinespitzassociates.com). 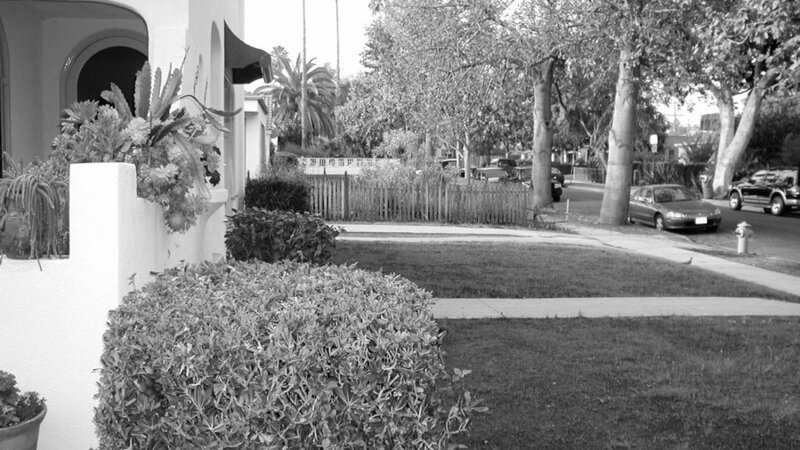 The problem before was a boring lawn, with no privacy (West Hollywood bans any kind of fence taller than 42 inches that fully encloses a front yard). Freestanding panels of thick, cranberry-hued glass (anchored in concrete) provide the illusion of privacy. Orange epidendrums and a photinia hedge with red new leaves flank the center panel. Dymondia, Mexican weeping bamboo, and Pittosporum crassi folium ‘Nana’ cool the heat. Lodgepole pine posts, their bases also anchored in concrete, are staggered to allow light through. 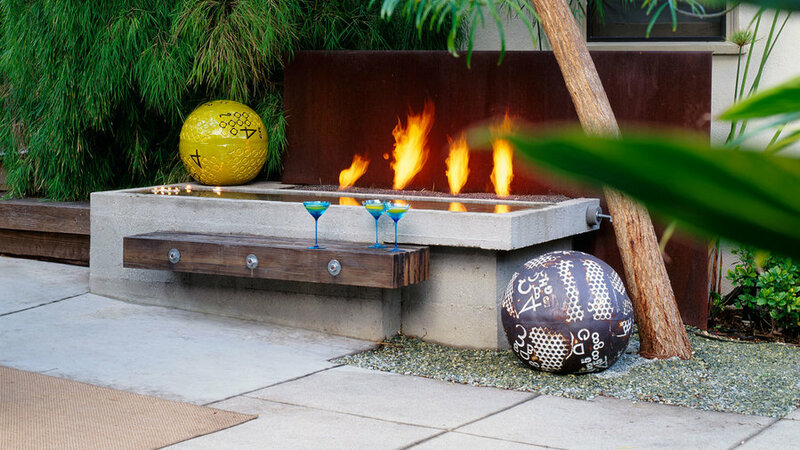 A concrete water trough doubles as a reflecting pool and an ice bucket for chilling drinks during parties. Gas jets in its back rim feed flames. This one occupies the part of the driveway just outside the garage; cushions top the built-in bench, while redwood strips freshen the cinder-block wall behind.